Now more than ever, car brands are focusing on customer experience as the key to growing their market share. Our 2018 analysis highlights some startling trends: some obvious (the ongoing growth of the SUV sector), some less so (the diminishing importance of the top 20 best-selling cars). possible by the exponential growth in online research. At Sophus3, we are increasingly being asked by clients to apply our data knowledge to the bigger, more strategic challenges. As well as optimising the performance of their digital channels, they also want to get ahead of the competition by anticipating trends and comparing themselves to best practice. Today’s consumer is frustrated by the amount of time it takes to choose, and buy, a new car. There is too much information, some of it contradictory, and the transparency they find in other industries is lacking. 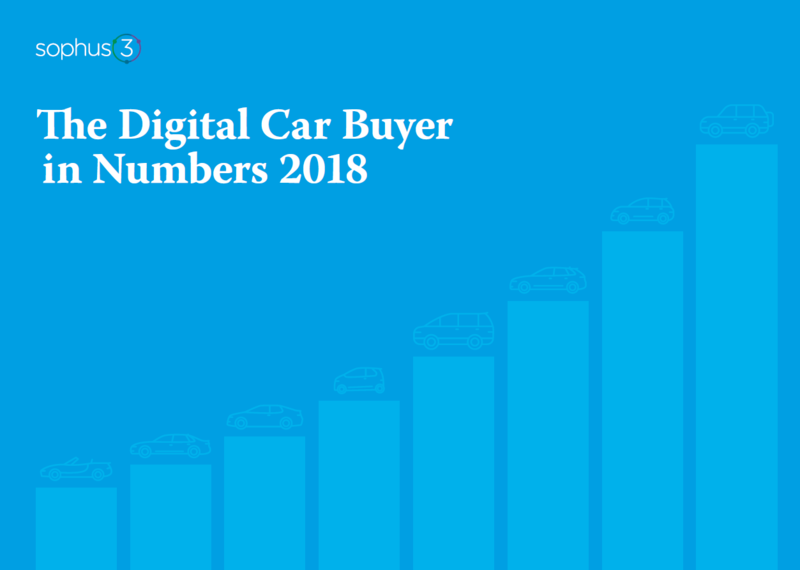 Simply put, the car brands who recognise this and create frictionless user journeys, rewarding customers with engaging interactions as they progress towards a purchase, will sell more cars than those who do not. For the first time, the end-to-end customer experience is becoming as important as the products themselves. market-specific experience to guide their thinking. consumer a voice in this complicated and challenging landscape, anticipating their needs so that our clients can plan for success.